The Bourbon Daisy cocktail blends bourbon, lemon juice and grenadine with a little bit of sugar. The result is a mildly sweet drink that disguises the amount of bourbon within. This drink is all about making two ounces of bourbon palatable, so don’t bother using anything from the top shelf. This one is very nice for warming up on a chilly evening. Fill a cocktail shaker halfway with ice cubes. Pour in the ingredients and shake well. 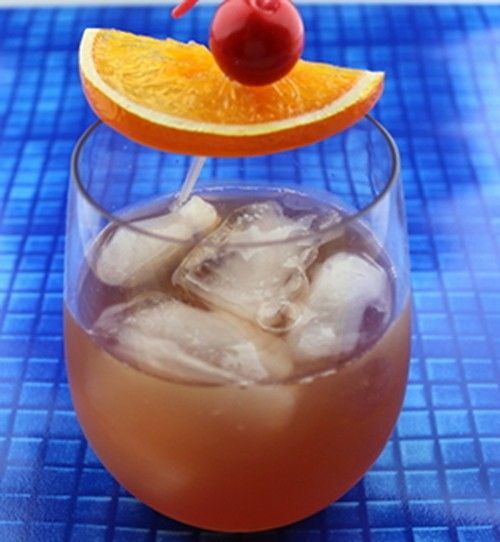 Pour (not strain) into an old-fashioned glass and garnish with an orange wheel and a cherry.